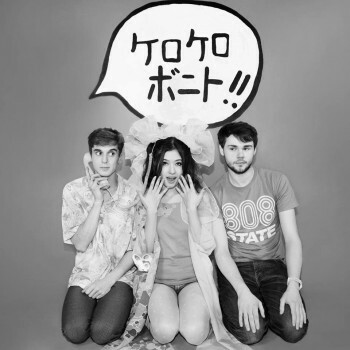 Sarah Midori Perry is one third of London-based music trio Kero Kero Bonito, known to fans as KKB. Currently the group’s lead vocalist, Sarah’s talent and personality matched the vision of her bandmates, Gus Lobban 1 and Jamie Bulled, 2 when searching for a new member back in 2013, and they have been making music together since a chance meeting in the same year. Sarah, half-Japanese and half-British, has brought a new dimension to the group, with her bilingual, playful lyrics and her bubbly stage presence, the perfect fit for KKB’s music with its many influences stemming from video game music and Japanese culture. 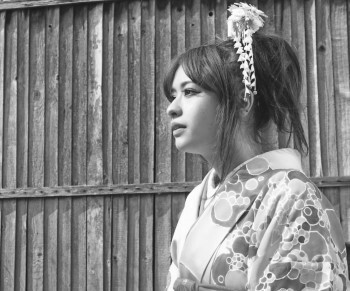 3 Also recording as a solo artist under the name Sarah Bonito, she has shared her rapping talents with producers including Mark Redito 4 and ©OOL JAPAN. 5 While unknown to many, Sarah is also a visual artist by discipline, and takes this second passion very seriously. This interview, after taking us through the beginnings of Kero Kero Bonito, sees Sarah explain more about her different inspirations, describing how her interest in reading and writing has nourished her talent for rapping, and how she connects the dots between her work as an artist and as a vocalist. How did you initially get involved with Kero Kero Bonito? I saw an ad online looking for a bilingual rapper/singer and thought it was interesting and decided to jump in. 6 I didn’t really have a background in music except for playing the alto saxophone in a brass band. From our first rehearsal all three of us 7 really got along and it felt right. I think it was meant to be! I remember writing my first rap for one of the earlier tracks and realising that there is this other world of expression that you can use through music. Up till then, I was only focused on creating visually. It felt like I just stumbled upon something amazing, like another dimension. I remember writing my first rap for one of the earlier tracks and realising that there is this other world of expression that you can use through music. What do you personally enjoy listening to? As a child, I was always shy and quite introverted because of the amount of unwanted attention I got being a mixed-race person living in Japan. 9 I was really drawn to people who were a bit rebellious, who seemed to not care about what other people thought about them. My stage performance is heavily influenced by punk music as well. Have you always been interested in singing? Did you ever think you would go into making music? No! I never thought I would even be doing music. I was interested in being in a band as a teenager after watching Lindsay Lohan play guitar in this film called Freaky Friday. But other than that I never really thought about it. You write most of the lyrics for Kero Kero Bonito. How do you come up with them? I’m a huge dreamer. I love finding magical things in the world. Most of my lyrics come from that. I prefer to write in both languages because in my head I see it as one whole thing. It’s really satisfying when I manage to make English rhyme with Japanese. It feels like I’m connecting two different worlds. I’m a huge dreamer. I love finding magical things in the world. Most of my lyrics come from that. When writing lyrics, does your process change depending on the song? It depends on the song really! A lot of my Sarah Bonito tracks were online collaborations and have themes based on things I was feeling at the time. Like the song “Horsey” I wrote with MACROSS 82-99 14 is based on my obsession with horses, and how I wish I was born in the year of the horse and not the year of the sheep. What are the major influences for your lyrics? My artwork has a huge influence on my music and vice versa. I see art and music like two different languages that you can use to externalise things and show them to the world. The core ideas are the same, it’s just the tools you use that are different. Playing a show is one of my favourite things because that's when music and visual art cross over. You need to think about it as an experience and consider how the audience will react to what they see as well as what they hear. I kind of think it’s almost like doing 3D art 15 and orchestrating your own world where you can invite people in. I also was heavily into writing novels in my teens, reading and writing books every day after school. The stories I wrote were in Japanese and I entered lots of writing competitions. Each story was around 200-300 pages. I was a fan of this writer who published his first book when he was seventeen, and when I found that out I decided I want to publish my first book by the same age. When I turned seventeen and had no books published I just quit writing altogether. I think having that intense writing phase has had an effect on how I write lyrics today. What type of writer were you? You often use a similar type of pattern in your artworks. How did you come up with it? I have reoccurring characters and patterns. My drawings are all connected into one world and the more I draw, the more it reveals itself. I'm into drawing circles a lot recently. Nothing is forever and everything around me has a start and an end. The circle is something that is continuous and unbroken. It's eternal and there's something magical about that. You seem to like using flashy colours in your artworks, is there a specific reason behind this? I love exploring the idea of light and darkness. I'm intrigued by the idea that without darkness there is no light. When things are colourful I tend to register that as a positive feeling rather than when something is black and white. The colourful elements of my paintings are a part of my representation of ‘light’. Going back to Kero Kero Bonito, what are you currently working on? Has your recent success changed the way you work? That's top secret! &ast;wink&ast; But I’m sure you will be hearing from us very soon! Gus Lobban, as well as being one third of Kero Kero Bonito, also records as a solo artist under two different monikers. He has released on PC Music and Turbo Recordings as Kane West, and produces for himself under the name of Augustus. 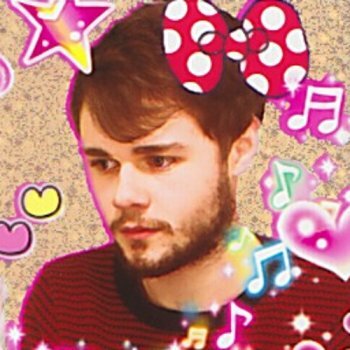 Like Gus, Jamie Bulled, aside from his work in Kero Kero Bonito, produces solo under the name of WHARFWHIT. He has recently released “ELBOWS” on Double Denim Records. 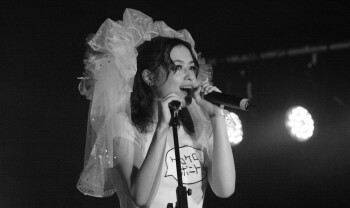 Gus has particularly been influenced by J-Pop rap duo Halcali, who were very famous in the early 2000s. 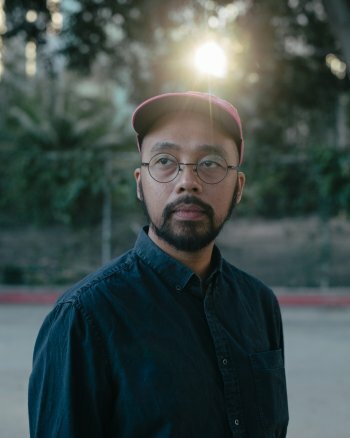 Mark Redito, formerly known as Spazzkid, is a Los Angeles-based musician who comes originally from the Philippines. Sarah responded to an advert that Gus and Jamie posted on a website called MixB, an online bulletin board for Japanese expats. It’s more or less a Gumtree or Craiglist for Japanese people living abroad. Before Sarah joined KKB, the group was made up of Gus, Jamie and Ken Kobayashi, who had to leave when he started to work full-time. 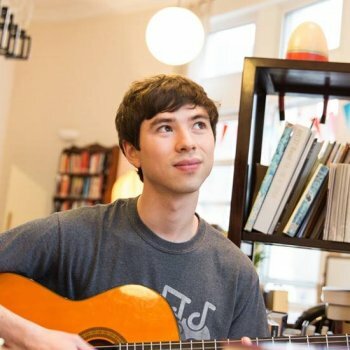 Ken, a half-Japanese, half-German musician, is however still making music, and has recently released a new song, “Like the Stars”. 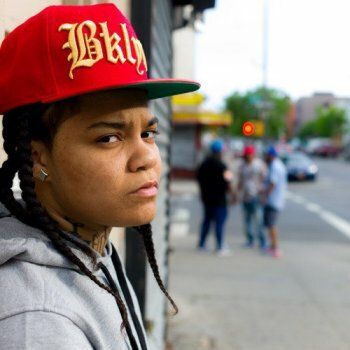 Young M.A is a female rapper from Brooklyn, NYC. Known for a unique style influenced by zef culture, a South African counter-cultural movement, Die Antwoord is a rap-rave group formed in Cape Town in 2008. GFOTY, which stands for “Girlfriend of the Year”, is a British singer who is part of PC Music. 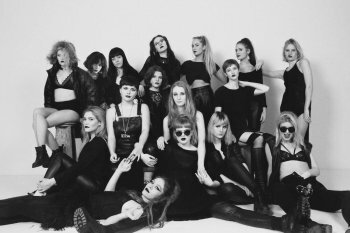 Reykjavíkurdætur, which means “Daughters of Reykjavík” in Icelandic, is an all-female rap collective. 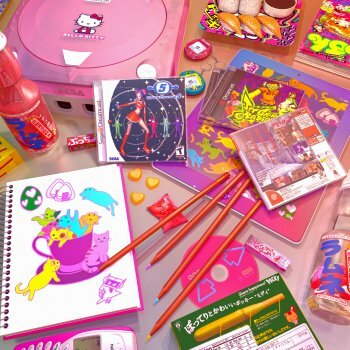 Speaking of 3D art, Sarah contributed her illustration skills to a 3D artwork made by Terrell Davis for Yoshi & Komono’s song “Cat Cafe” – the cats on the cover are her own drawings. Special Thanks to Ririko Sano.